Being a Dutchie I might be a bit biased when saying that Viktor & Rolf are fantastic designers, but they really just are. Viktor Horsting and Rolf Snoeren both studied Fashion Design at ArtEZ in Arnhem, after which they went to Paris and set up their own fashion house in 1993. Since then they have created numerous spectacular collections. I think my favourite show is still their Spring 2010 show, in which the designer duo used a lot of tulle and literally cut holes in some of the ball gowns inspired by the fact that the credit crunch made everyone cut back at the time. 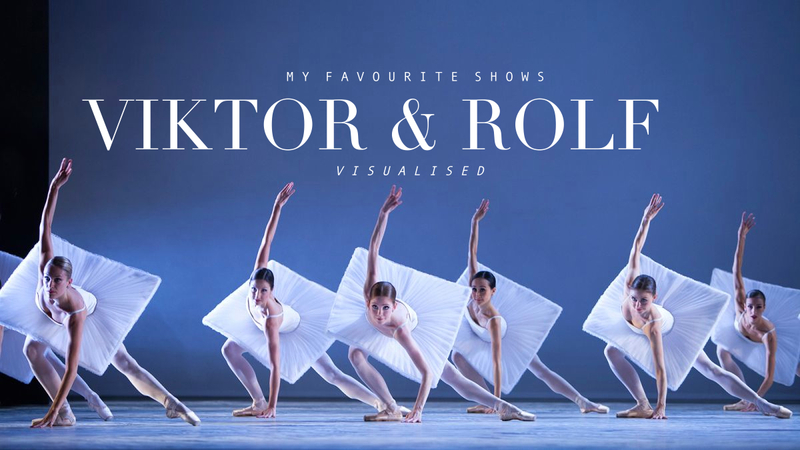 And what I especially liked, is how they let variations on these designs return in their collaboration with the Dutch National Ballet for the show Dutch Doubles in spring earlier this year. Dutch Doubles was not the first time that Viktor & Rolf worked together with the Dutch National Ballet. For their Spring 2014 couture show, at the end of which they launched their new perfume ‘bonbon’, they used dancers of the Dutch company as models for their collection. I feel like V&R never cease to surprise their audience, which they definitely did with their latest Fall 2014 collection for which they made dresses not necessarily for (the), but from red carpet. All pieces were made of red fabric which the designers folded, knotted and tied into fabulous dresses. Some decorated with voluminous bows, others with hand crafted animal print.